HNT is back at it with another exclusive color matchup. This time we've taken the timeless St. Louis Cardinals' Bird on the Bat logo and hooked it up with those ultra cool Blue Jays colors. 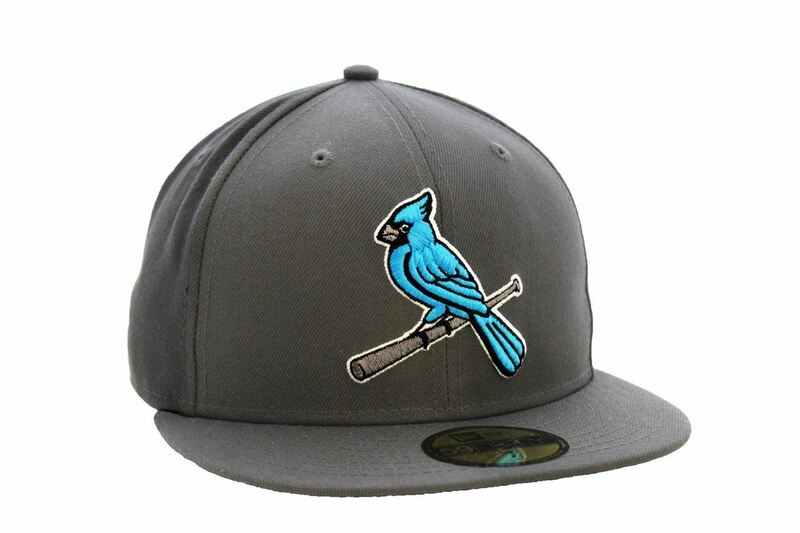 This charcoal grey 59Fifty features a royal blue bird on a black bat.